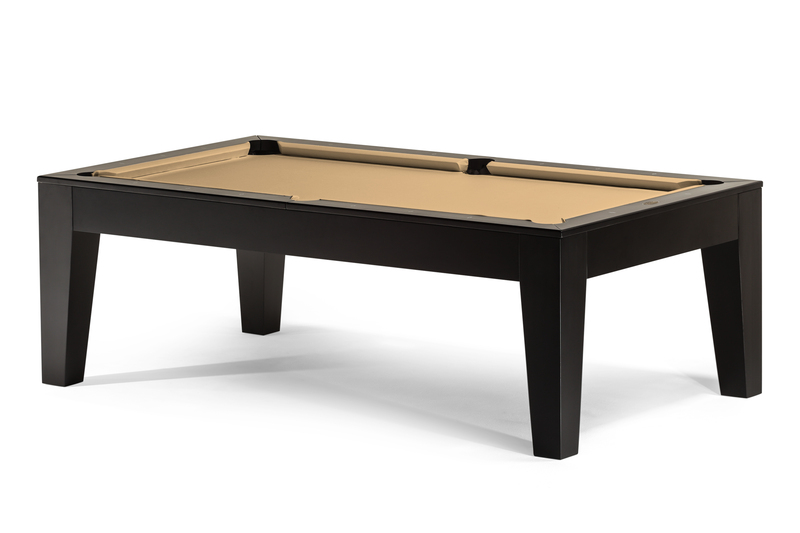 Our Monaco table is a modern style Dining top pool table. 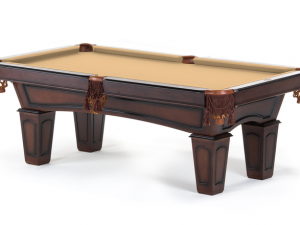 It is Made of 100% hardwood and finished with a black satin stain. The gently tapered legs and clean look will be a great match for the modern styles in dining rooms and game rooms you see today. The hardwood dining top has 4 sections aligned with dowels for a well aligned fit. Chairs shown are for illustration purposes only (not included).